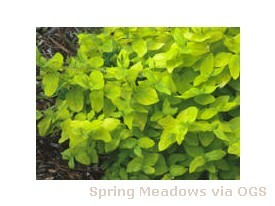 Product Information : Small spreading shrub with golden foliage. Flowers are also golden. Red fruits mature to black.